I don’t typically write posts about personal products or fashion, although I love reading sites that do! 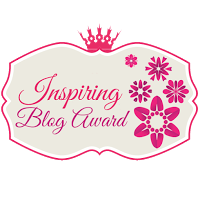 Inspiration to break out came by way of Polished Pebble, a blog site written by the very talented Kelley. I do wonder sometimes why I feel the need to carry so many “what if” items. Yes, I was a Girl Scout, and their motto [Be prepared] must have stuck. Or maybe it’s because I’m a mother, albeit of adult children with their own children, but maybe that’s when it began. I carry this Coach bag when I trade off on purses (a favorite) but it weighs as much as the other one when loaded with my stuff…heavy. So I just couldn’t resist the temptation to pare down my handbag contents. I’ve successfully pared down most of the closets, drawers and cupboards in our home, why can’t I do this? It should be easy, right? Tissue and a couple of band aids – you never know when you might get a blister from a new pair of shoes. A few coupons keep the coupons in the car? Travel sized pill box, filled with antacid, allergy and headache pills – I rarely use these items, but when you have a headache, you know how important they are. Travel sized sunscreen maybe make sure the sunscreen is on before I leave the house? Superfluous items ie. the dozen or so frequent buyer cards, promising deep discounts and the like. keep these in the car? I weighed my purse and it’s 5 1/2 lbs. Seriously? Why am I carrying so much stuff. So I received a bag like this a couple of years ago from my sweet daughter in law—in black. I don’t think I can manage it for daily use, but I love carrying it to evening affairs. I’m going to make it a goal, pare down the handbag, try really hard not to need some of the items I’m used to having on hand, and start shopping for something that will be more manageable—any excuse for a new purse! Love all your purses…sure as you eliminate one item, you will need it. Since I was a wee tot, I’ve had an affinity for purses, handbags, totes and pokes. Part of what I carry is for the hubster…I’m sure he wouldn’t carry a …hmmm, what do they call a man purse? IS THAT A LOUIS I SEE?!? in the cutest pattern ever????? how did i miss that! I have that same Coach Willis bag! I used it a lot for traveling because it has a long handle and makes for a great cross body bag also, but it can get heavy. The more I read your blog, the more I realize how much we have in common! I alternate purses very often so the trick is to carry lots of little pouches making it easier for me to transfer stuff back and forth. Otherwise, the bottom of my purse becomes a black hole. I am currently using a Ferragamo tote bag. When I bought it I took my Nikon camera into the shop to make sure I found a bag that would fit it. The salesperson thought I was nuts! That gives you a sense of how large my bag is. Your post made me look inside…I realized that I don’t think I need to be carrying around the David Austin rose catalog anymore….lol! What a fun post. It does start young. Did you see the picture of Queen Elizabeth with her great-granddaughter hefting the Queen’s purse? For the most part I keep mine pared down, (keys on a leash definitely helps!) but when I travel, all bets are off. It’s amazing how much I think I need right at my fingertips. I use an app on my phone called keyring for all of my loyalty cards. It helped get rid the extra cards and keyring I used to carry around. This is the best comment! I would love to lighten the load of my loyalty cards. I’ll check it out. Thank you for stopping by and offering such helpful info. My purse is a catch-all for just about everything. As much as I try to cut down on the items I carry; the more I keep cramming into my purse — wallet, check book, glasses (sunglasses and reading), Kindle, i-phone. Whatever I can’t squeeze in, I keep in my car. I keep thinking back to a quote from Rhoda Morgenstern on the Mary Tyler Moore show, “My car is like a big purse on wheels.” Unfortunately, my purse has gotten so heavy that my seatbelt light goes on when I put on the passenger seat. Fun post! Here goes…Like you, I am a serial monogamist when it comes to bags, and I was carrying just too much! I recently decided to sell my LV bag, and bought a black Tumi Arrive Lucas Crossbody messenger bag. It nylon with leather trim and is made really beautifully. It has a front section with pockets, two main zipped sections and a center section that I can drop my wallet into and fetch quickly. I hate it when I have to dig and fumble around with my bag, it just looks so inelegant. I can sling it cross-body so I have for the first time in, oh, 15 years, TWO free hands! Yay. A black leather zip travel wallet from Brooks Bros. that holds cash/cards/change etc., even my passport, and my iPhone 5s in a pinch. It also has a pen loop. (Another peeve is searching for a pen!) I pared down from my usual McGuyver-esque assortment of be-prepared items. Currently my lipstick is floating loose, so I’m looking for a small beautiful cosmetic pouch, and a pretty paper notepad. Other than that I have hand sanitizer and tickets to Historic Garden Week. Karen, if I’d written this post, it would look almost the same, starting with an Easter pic of me at 5 years old, carrying a straw purse. And, I have a black Coach knock-off that’s nearly identical to yours. In fact, my contents list is almost identical to yours, except that I include a Tide pen for sloppy eating disasters, and I replace gum with tiny Altoids. I keep my notebook in the car but I often wish I had one in my purse. I have to carry a hangnail nipper and nail file. I am incredibly picky about purses. They must have exactly the right pockets and features, which are my key to keeping everything organized. No bucket bags that are like bottomless pits for me!